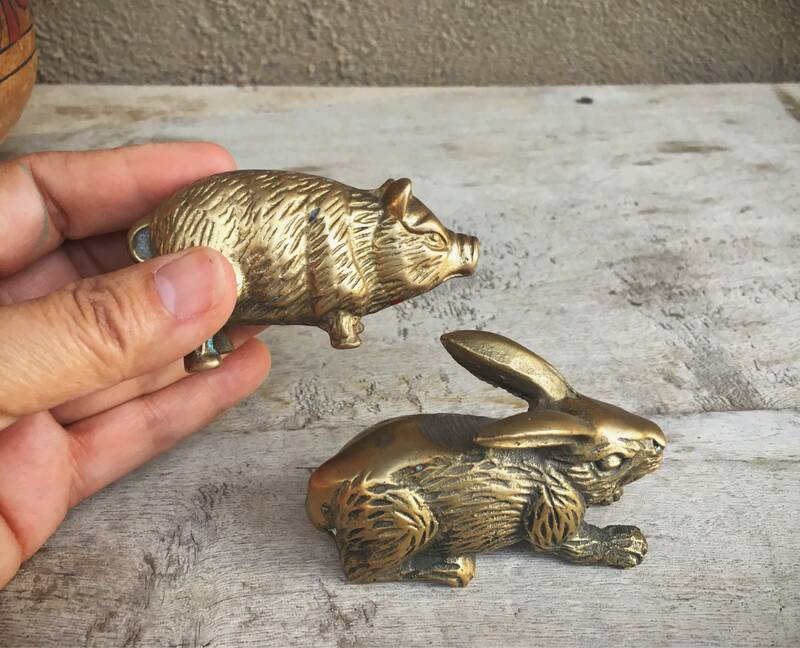 I have an adorable brass pig or rabbit figurine, choose one or the other, or both if available. Each measures about 3" long by 2" tall by 1-1/4" deep. Both in good vintage condition. 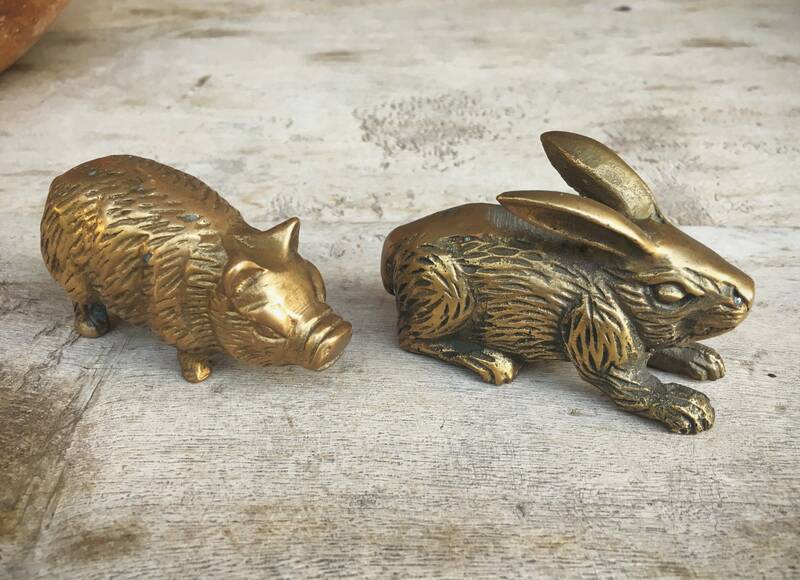 Brass pig: Pigs are symbolic of prosperity, richness, fortitude, not mention being pig-headed in running with speed toward what you want. In short, pigs are awesome! 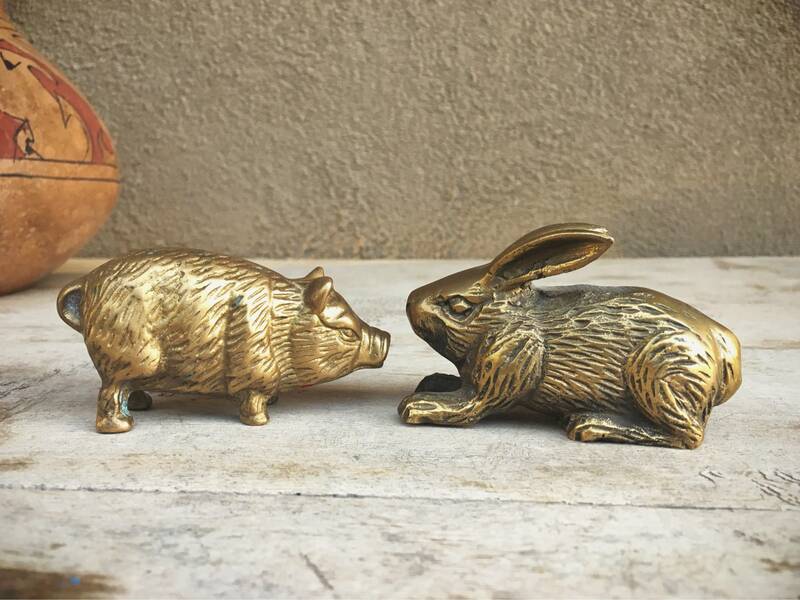 Brass rabbit: Rabbits are quick and good at changing directions on a whim. This would be the perfect gift for someone who is quick, whether a runner or someone super sharp and quick with wit and brains. 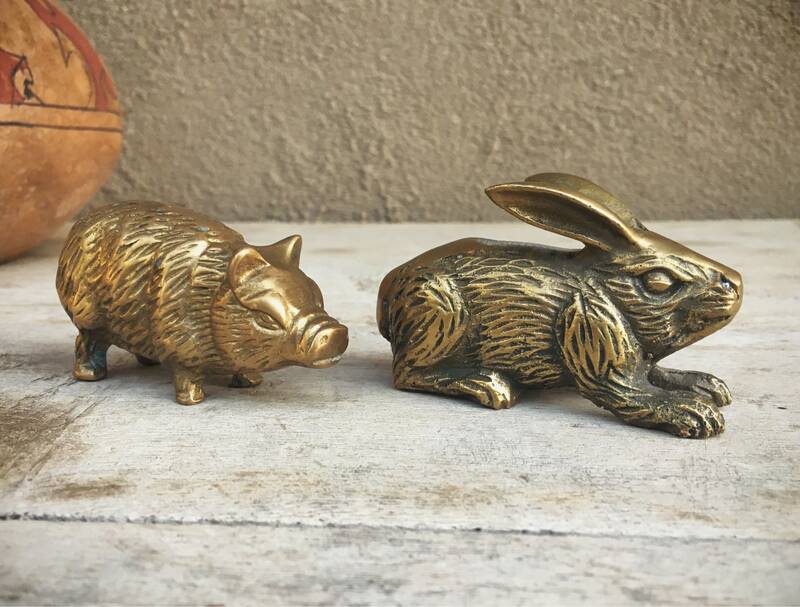 Somebunny’s gonna go hog wild over these little guys! This Seller is highly recommended! She was VERY pleasant to work with! She shipped VERY quickly.. 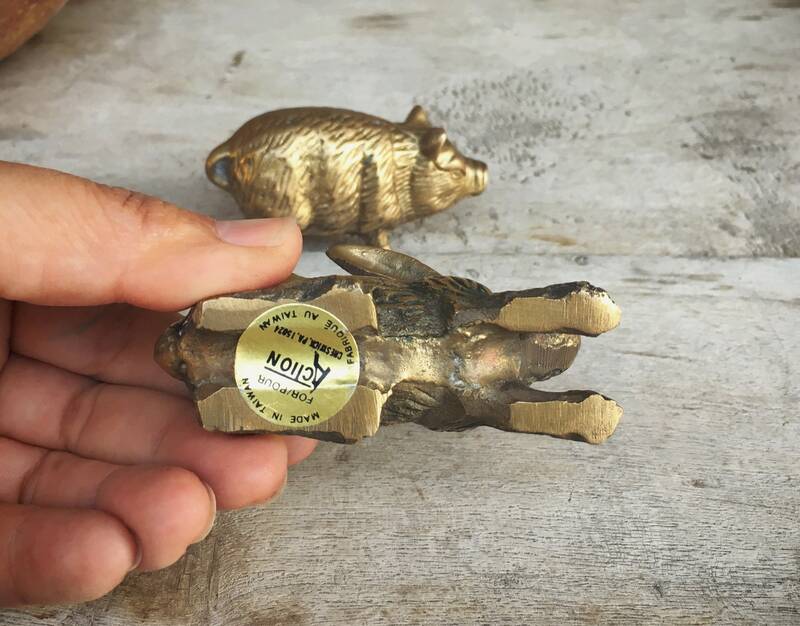 I had my brass piggy TWO days after I purchased it! I will definitely be back in the future!